The club was leased to the Labour Party in 1981. The government has decided to reclaim the controversial Labour Party club in Siggiewi, and hand it to the local council for public use. Parliamentary Secretary for Land Jason Azzopardi said the government had accepted the council's request to move into the building, but strongly denied the decision was prompted by any partisan motives, despite the questionable way it was given to the PL in the first place. "It's a natural and just conclusion. It's the community which will benefit from this decision," Dr Azzopardi told The Sunday Times. Once the imposing building is vacated, it will be used by the council, partly for offices and partly as a day care centre for the elderly. It will be the first case of a property rented out to Labour to be returned to the government and given proper public use. The club, located in one of the beautiful buildings in the heart of St Nicholas Square, has been rented to the party since 1981 but the contract expires next June. 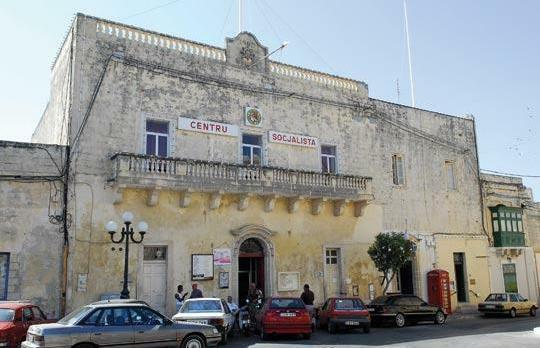 Spearheaded by Nationalist Party deputy mayor Karol Aquilina, the Siggiewi council last Monday approved a motion for the premises to be repossessed by the government, though the three Labour councillors voted against. Dr Aquilina said the council was contemplating borrowing some €400,000 to buy a larger property which was accessible to the disabled and which could cater for the needs of the elderly - but ultimately it made more sense to make use of a prime site. He criticised the Labour government of the 1980s for blurring the lines between party and country, especially after research on the property in question unearthed a series of "scandalous" transactions. The property, formerly known as Villa Siggiewi, used to belong to Mabel Strickland, leader of the Progressive Constitutional Party and editor of The Times between 1935 and 1950. It was bought by the government in the 1960s and used as a primary school for several years. In 1969, it became a civic centre used by a number of organisations. It was leased to the PL on December 11, 1981 - the eve of the general election - for Lm200 (€465) a year. Dr Aquilina said in a bid to detract attention, the property in question had been quoted in the Government Gazette as a three-roomed building for lease in Triq San Nikola, rather than a large building in the heart of Pjazza San Nikola. In February 1987, three months before another general election, the government accepted a party request and extended the lease for 24 years, backdated to July 1986, Dr Aquilina said. The Parliamentary Secretary maintained that the Siggiewi case was not a precursor for the several other party clubs leased by the government. "We will deal with these matters on a case-by-case basis. So far, there are no further requests to take action on other clubs," Dr Azzopardi said. But the Labour Party accused the PN deputy mayor of being driven by partisan motives and was only intended to stir controversy to attract attention towards him since he will "almost certainly" be vying for a top post within the PN. Dr Aquilina put forward the motion when he was aware the council had already advanced plans for a day care centre for elderly people, the PL said. "Karol Aquilina's immature move, unfortunately, creates division in a locality which is known for tranquillity and cooperation among its residents. "What is 'scandalous' in the whole affair is the ease with which Dr Aquilina managed to obtain information which is not available for third parties from a government department, thus breaching data protection laws. This is tantamount to the way the PN sees State and party as one entity." But Dr Aquilina strongly rejected the accusations that he had breached data protection in researching the case. "I obtained the information from an active Labour Party member, which I then backed up from research I carried out through public documents available to anybody."